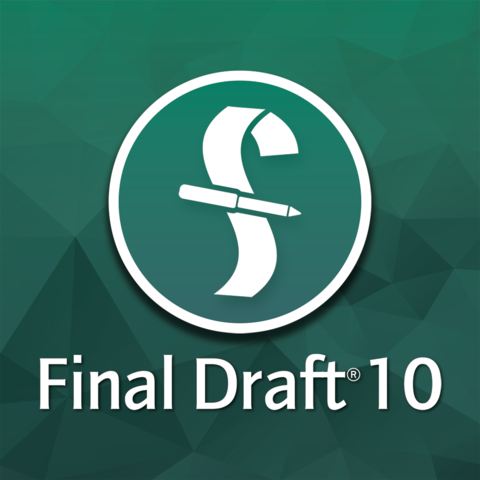 Get your copy of Final Draft® 10 from The Writers Store, the Industry's #1 screenwriting software source for over 30 years, and you'll receive our exclusive Screenwriting Starter Package ($100 value), free installation support, and peace of mind knowing that your purchase is backed by our 30-day money-back guarantee. Plus, you'll have ongoing access to your download and serial number through your Writers Store account. 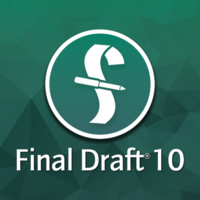 Introduction to Final Draft 10 from Writers Store on Vimeo. When you're ready to write a screenplay, you want only the best screenwriting software to help you get to from initial concept to FADE OUT. That's why you need the all-new Final Draft 10, the number-one-selling software designed specifically to write scripts for film, television, and theater. Final Draft automatically formats and paginates your script to Industry standards with just two simple keystrokes. Final Draft 10 retains all of its studio-tested features used by Hollywood giants like Tom Hanks, J.J. Abrams, James Cameron, and Aaron Sorkin, while setting new benchmarks in performance and ease of use. With Final Draft 10, you'll enjoy many new and improved features, plus a fresh look and feel for both Mac and Windows users. There's never been anything like this story-planning tool! Not only does it offer you a high-level view of your story, it also makes it easier than ever to preview and navigate to individual scenes. Story Map gives you the option to view your beats, via Beat Board, against story scenes. Beat Board and Story Map work hand-in-hand. This brainstorming tool gives you the freedom to organize your ideas as they come to you, keeping your thoughts collected within you FDX file. Beats can easily be previewed, moved, and color-coded. You can organize your beats by dragging them into Story Map and arranging them there. Are you one of the many writers who prefers to work on a team? With Collaboration, you can now remotely work on a single script with your writing partners! Collaboration works in real-time and it provides a chat feature so that you can communicate fluidly with your team while you write. Plus, if you want a friend or colleague to proofread one of your scripts, you can simply pass control so that another Final Draft user can access and edit your document! It can be hard to choose between different lines of dialogue. With Alt Dialogue, you don't have to make that choice right away, or ever! Multiple versions of a single line can be stored within your script and revisited by either toggling through the options or viewing them in an easy-to-access table. Forget the days of navigating between your outline and your FDX file, or, horror of horrors, losing the paper or notebook that contained your script's structure. Structure Points are here to make outlining more accessible. You can color code Structure Points, move them around your Beat Board, and view different Structure Points within your Story Map. If you're new to screenwriting, the Final Draft structure templates can help you get started. By using split view, you can even view your Beat Board and screenplay simultaneously! Final Draft 10 offers new and improved Scene Numbering Options, revamped to industry standards. You now have the option to choose between the 1a and a2 formats. File names are now automatically included in the Header or Footer of your script. Headers and Footers can also include a myriad of other information, such as the date, scene, label, page number, and more. The Revision Menu now contains the option to bold text. The menu retains its previous functions as well, such as underline, dotted underline, strike out, text color, and more. The Final Draft 10 user has the option to select the Windows ribbon look, with special buttons, backgrounds, and menus, or enjoy the same experience they've come to love by switching back to Classic mode. Please enter a serial number from a prior version of Final Draft. Approval may take up to 24 business hours.